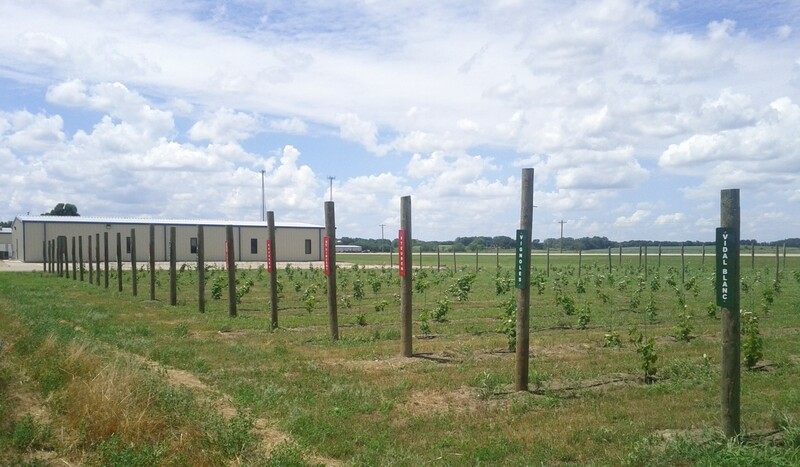 The following post describes the stages of growth of the different varieties planted in the HCC Research Vineyard through the 2015 growing season. The phenolic stages will be described in common terms such as “bloom”, “grand period of growth”, “veraison”, and “harvest” as well as by the Eichorn-Lorenz (E-L#) system of tracking vine phenology. The dates associated with the different stages are the dates on which these stages were observed in our vineyard. This does not mean that it was the beginning date of a certain stage, or the end date, but only that the stage was observed on this date in our vineyard, which could only be scouted once every week or two at most. There are also notes on yield as well as some common diseases affecting the different varieties within the vineyard. It should be noted that pest and disease control was very difficult to maintain in this vineyard as all the varieties developed at different rates, and the timing of pesticide application was not ideal for every variety on any given day.